How Long Should I Keep Praying? Even when it is difficult and the answers seem long in coming — we must KEEP PRAYING! Exactly how long do we keep praying for these difficulties before we assume God might not be listening? Does He ever choose to just not act? His promise is to hear when we call. But, even knowing this truth, I still struggle to persevere in prayer. How do I keep at it? In an age where waiting ten seconds for an internet page to load seems interminable, when a roast is cooked to perfection in 30 minutes in an Instapot, and when anything I want can be delivered to my door in two days from Amazon, waiting has become a lost art. Perseverance. Patience. Long-suffering. Endurance. These are skills the modern world does not cultivate. I expect all types of fresh produce, no matter the season of the year. Grapes in December? Well, of course. And I need apples all twelve months. I think the natural rhythms of life and seasons must have built a fortitude in our ancestors that we sorely miss. We expect what we want, every day and every month. Modernity requires few deprivations, which is a blessing and a curse. Translate this to our prayer lives. I really prefer to pray and then see the answer right away. Like now. But often, that is not the way of the Lord. When I look at how He worked in and through His people all through the Bible, He just never seems to be in a hurry. My expectations need a reset. With an instant mindset and a soul used to immediate gratification how do I develop the muscle to keep praying when I don’t see answers and I can’t imagine how they would even come about? I am going to be honest here, there is no comfortable answer to that question. The only way to persevere is to just keep going when I want to stop. I realize this is not a glamorous answer. It won’t look good on a meme. But old-fashioned stick-to-it-tivity is how endurance happens. I have found one more ingredient to keep praying when I want to stop, and it is not glamorous either. The not- feel-good word is: obedience. Told you it wasn’t a fun word. But it is true. There is great scriptural support to KEEP PRAYING when I don’t feel like it, when I don’t see answers, and when I would rather binge watch a show on Netflix. There is something about realizing the God who is not in a hurry still expects me to pray that shifts my heart and resets my expectations. Jesus wants me to pray when I am seeing answers and when I am not. I am supposed to continue praying. This verse does not include a time limit or even a guarantee of an answer, just the commandment to keep praying. God’s will is for me to pray without ceasing according to this verse. I am finding no wiggle room here. I must not quit praying – ever. Constant in prayer seems pretty straightforward. The upside to this is when I constantly pray I don’t have time for complaining or whining or worrying. I only have time to pray. This verse clarifies for me that I have two diametrically opposed options: anxiety or prayer. It often feels easier and better at the moment to worry, but I must choose prayer. The early church, the church with unity, power, miracles, and willingness to suffer, is our example. KEEP PRAYING! There is nothing more important. We must never stop praying. Every time I sign one of my books, Unceasing, I use the phrase “Keep praying!” People of God, we don’t have any excuses and we don’t have a quick answer to this. Praying is not a one-stop shop. I can’t do it once, pay some money, and everything is fixed. No. 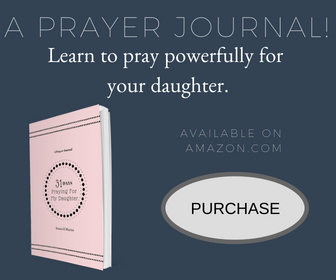 Prayer is a lifestyle, not an activity to occasionally participate in. How long do I keep praying? Here is my answer: If I am breathing, I pray. That is the deal. Want to join me? Give attention to the sound of my cry, my King and my God, for to you do I pray. O LORD, in the morning you hear my voice; in the morning I prepare a sacrifice for you and watch. 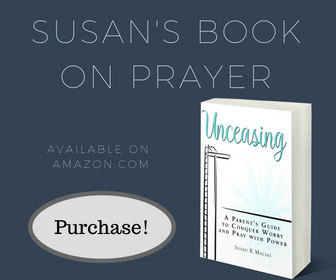 For more encouragement about prayer, check out my book Unceasing, A Parent’s Guide To Conquer Worry And Pray With Power, available on Amazon.